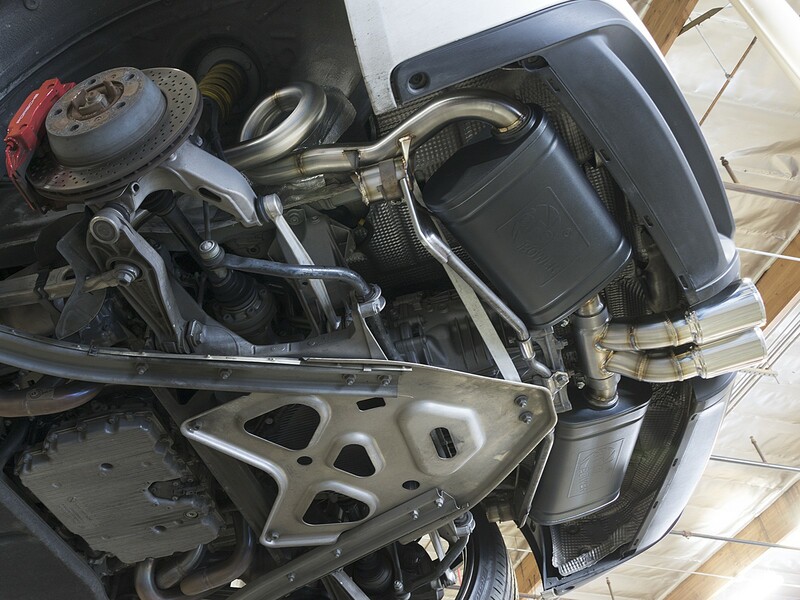 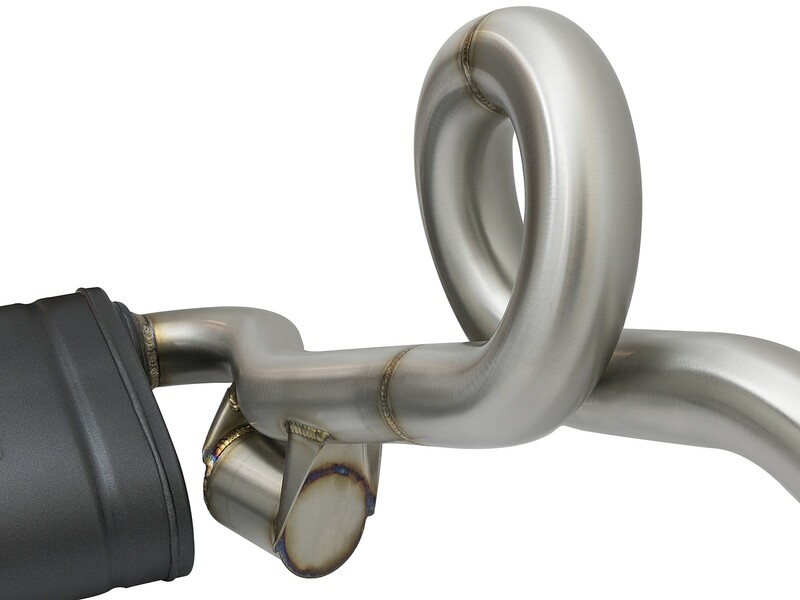 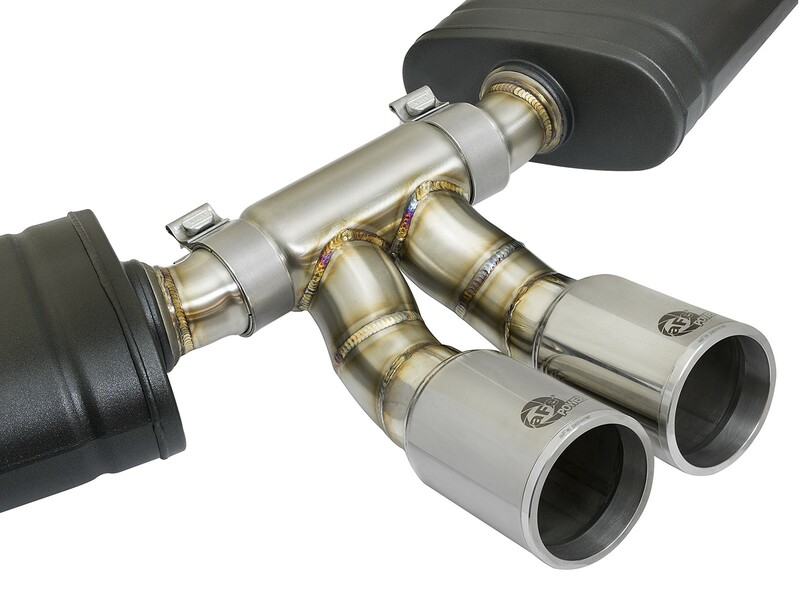 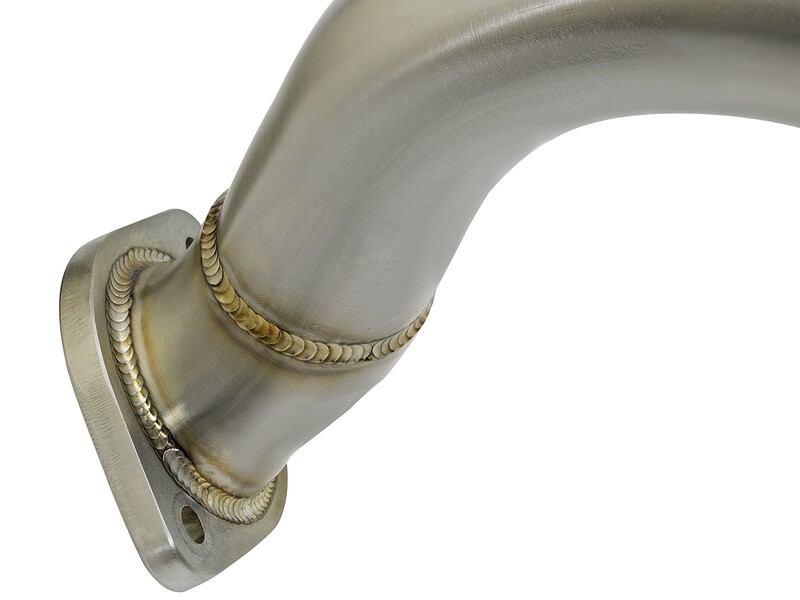 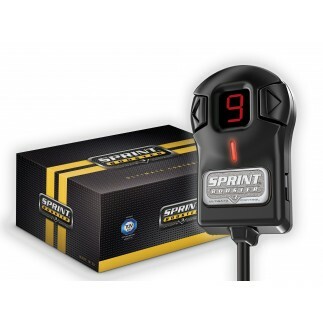 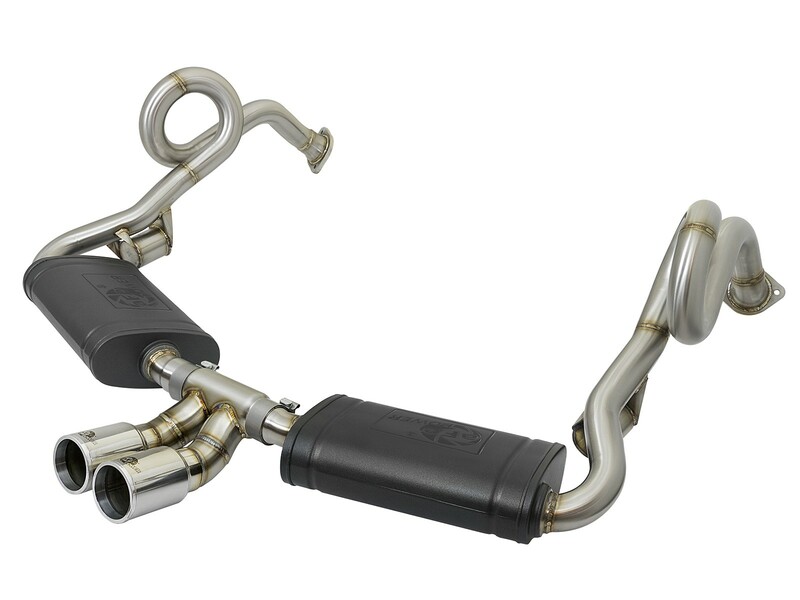 Free-flowing, transverse mufflers are used to absorb high pitch tones producing a powerful sound and unleashing all available horsepower and torque. 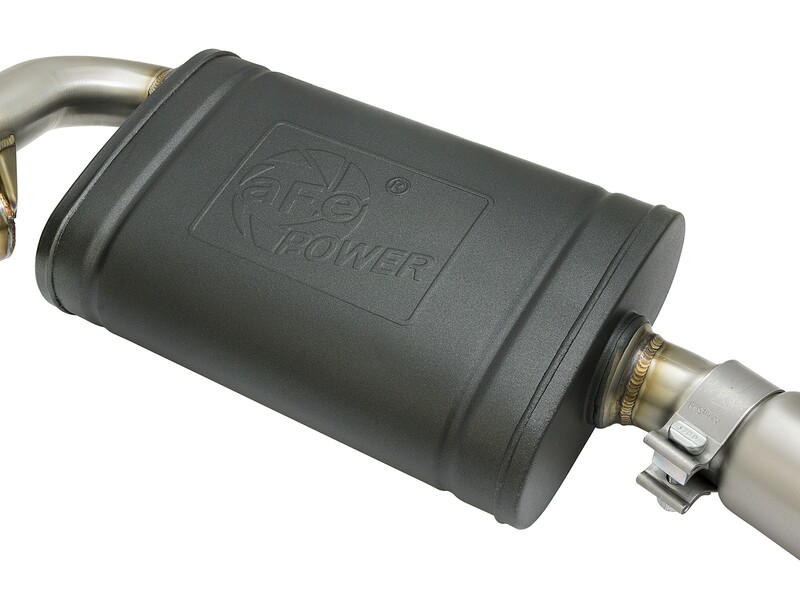 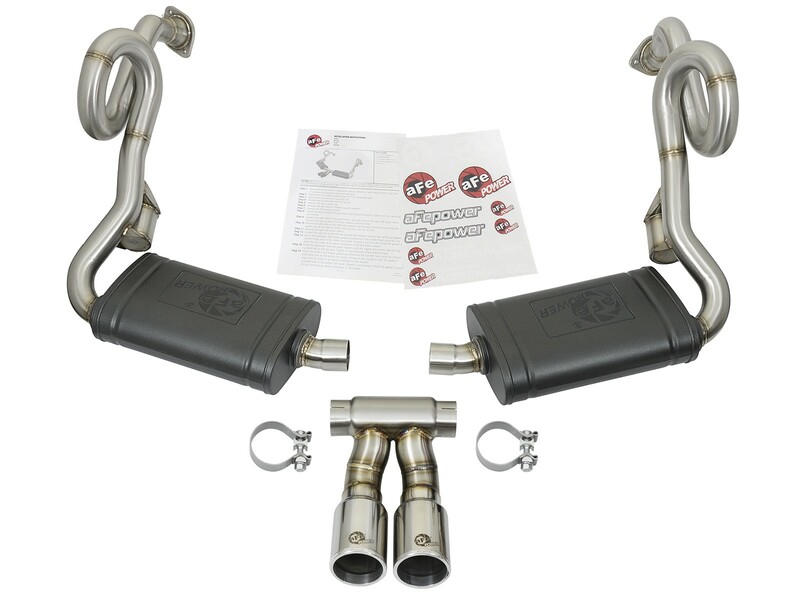 The mufflers are finished with a high-temp powder-coated black finish and a stamped aFe power logo. 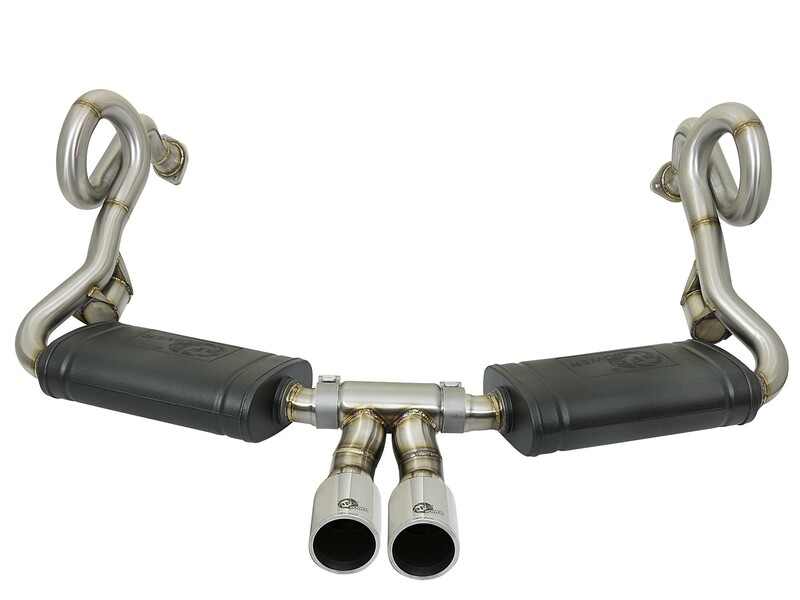 Finishing off this system are dual 3-1/2" diameter, polished, 304 stainless steel tips. 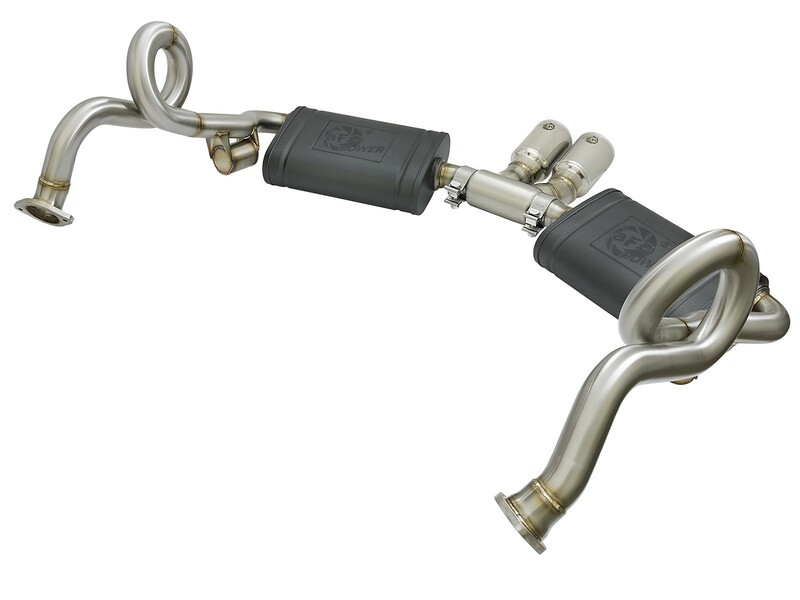 The tips come with a laser-etched aFe power logo for an aggressive style.